Saara Guastella is Marketing Manager at Casambi Technologies Oy. In her article, she explains why “smart” lighting isn’t just about controlling lighting from your mobile phone. Despite the numerous obvious advantages, smart devices are only one part of the solution. Today’s mobile electronic devices are incredible tools for controlling lighting. Intuitive touchscreen control, advanced computing power and high-speed connectivity make them ideal for tasks like commissioning lighting, setting up preset scenes and animations, or controlling colour in a sophisticated and professional manner. 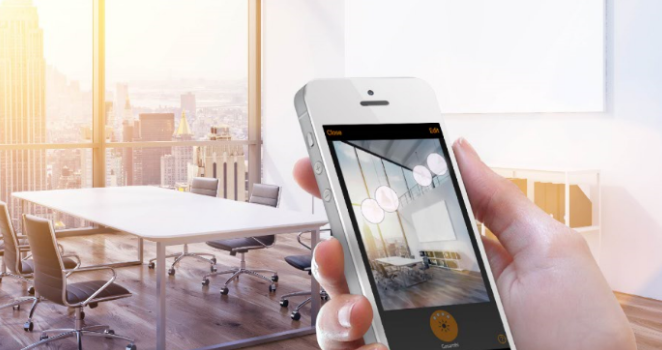 Casambi harnesses these abilities, allowing users to control luminaires directly using Bluetooth Low Energy (BLE) – the standard optimized for modern lighting control – ­ that’s built into every smartphone, smart watch and tablet. All the user needs is a Casambi-ready lighting system, and an Android or iOS device equipped with the Casambi app. But users can’t always be expected to have a smartphone or tablet to hand, charged, unlocked, and with the app installed, ready to go. When someone wants to simply switch or dim the lights right now (or when a guest or occasional visitor to a home, restaurant, hotel or office wants to do so), the good old-fashioned light switch is still hard to beat. Fortunately, there’s no need for users to choose between the two. EnOcean´s Easyfit Bluetooth switches are the perfect complement to Casambi’s app-based control. Once paired with the network, they provide a quick and familiar way for users to switch or dim lights, while the Casambi app can be used when a switch isn’t to hand, or to access more advanced functions such as colour changing, timers and sensor control. Thanks to Casambi’s user-friendly interface, commissioning the Easyfit Bluetooth switches is simple. They can be instantaneously paired with a complete network of devices, rather than users needing to systematically pair switches with individual receiving units. This allows the Easyfit switches to be used as portable remote controllers across the entire Casambi network. The control logic of the switches can also be easily changed on-the-fly using the Casambi app. 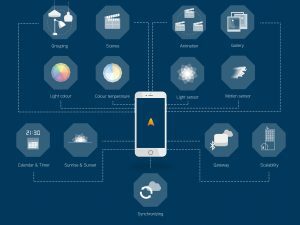 The app employs gesture control: users simply tap a luminaire to turn it on or off, swipe side-to-side to adjust brightness, up and down for colour temperature, or hold to change the colour. Timers can also be set based on time and date or lights can be controlled using motion sensors. It’s easy to group luminaires and set up light scenes and animations to create the perfect ambience. Combining Casambi´s lighting solution with a device such as Easyfit completely reduces the need of new wiring – reducing installation costs dramatically, creating an attractive choice for retrofit applications and buildings where fitting new cables is a challenge or prohibited. Sensitive heritage buildings can now benefit from the best in digital lighting control, just as easily as a new build. Casambi and Easyfit are also a great option for pop-up venues, where only a temporary set-up is required. 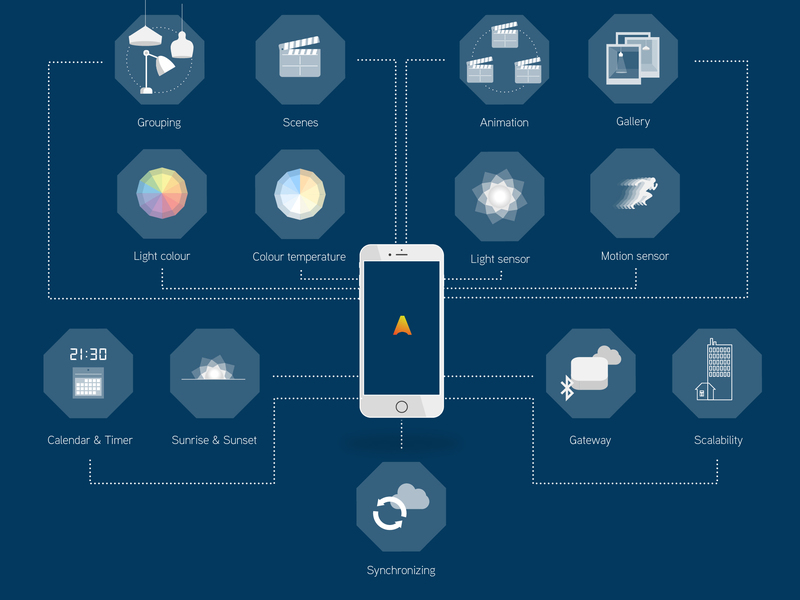 App-based lighting control has huge advantages, but to realize a truly “smart” lighting control system the familiarity of switches, needs to be combined it with the best in cutting-edge digital control. In this way, Casambi and EnOcean are working together to take the complexity of smart lighting away, and put control in the user’s hands.